Today most businesses have dynamic workforces that require communication tools regardless of location. No longer are all staff office based all of the time. Some work from home whilst others are frequently in and out of the office. Ensuring staff can communicate effectively with each other from various locations is essential. Mobile phones or smart devices have become increasingly important for business efficiency and RHM has developed a range of solutions to help customers communicate effectively and securely. RHM Mobile solutions are designed to support your business and fit neatly with RHM’s other product solutions. 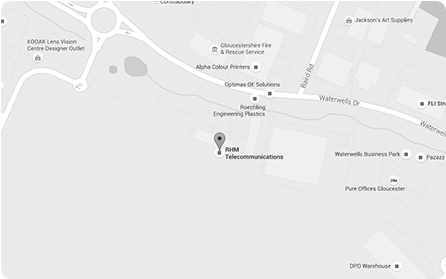 RHM are approved Business Partners with all four major UK Mobile providers; O2, Vodafone, EE and Three Networks. In addition, we provide connectivity to all networks via a single roaming sim solution, allowing mobiles to automatically search and select the strongest signal in any given location. This means we can supply and support the right carrier for you, depending on the coverage in your location, or indeed a mix and match of carriers all through a single supply arrangement. The business mobile sector is evolving at a rapid pace. Every business needs to be aware of all mobile devices with access to their corporate networks, whether they are company owned or belong to employees as part of a Bring Your Own Device (BYOD) scheme. RHM’s Mobile Management supports multiple devices and gives you a central management platform that accommodates multiple ownership across secure mobile devices including installation, configuration, training, support, upgrades and insurance. We also recycle of any outdated and redundant hardware when no longer required. All solutions are billed directly by RHM in a single easy to understand monthly statement, with on-line web access to a wide range of reporting criteria to help manage your mobile estate in a controlled and cost effective manner. RHM has access to all major UK networks and has the ability to pull together packages to suit your business needs and profile. We can either give you access to the standard tariffs available from the carriers but billed and supported by RHM, or we can design you a bespoke tariff using your own billing system. If you have challenging coverage issues, we can even give you the abillity to mix and match carriers, all billed and supported by us via our helpdesk team. In terms of devices RHM has set up a number of key trade accounts with SIM free hardware providers. This enables you to leverage our trade discounts and choose from virtually any mobile device on the market, from mobile phone to smart phone to tablet. In addition we support all operating systems from Android to IOS to Windows and Blackberry. We offer two services for mobile device management. This is a leading edge solution for secure on-site or cloud based device, application and content management for iOS, Android™ and BlackBerry®. Deploy, manage and control both corporate and BYOD device users through a simple unified console. Perfectly balance end user and enterprise mobility needs without compromising security. A Cloud version of BES 12 is available with both our Gold and Silver licenses. Providing exactly the same user experience, BES12 Cloud uses a web-based interface so completely removes the need for server installation and associated hardware. SOTI MobiControl is an Enterprise Mobility Management (EMM) solution. Built on a solid foundation of mobile security and device management, it delivers enhanced EMM features such as application management, content management, location services and remote help. SOTI MobiControl‘s advanced security features give your business full control over who is using your mobile devices and how they are using them. We ensure that all data on the device, or moving between the device and your company servers remains private and secure. SOTI Mobicontrol offers end-to-end management of many different types of mobile devices and operating systems including Windows, IOS, Android and Blackberry. Did you know 98% of SMS messages are opened and read? Text messaging is a well-established medium for business-to-business and business-to-consumer communication. Not only is it a proven marketing tool, it’s time efficient compared to making phone calls or sending costly mailings. We can provide SMS management, delivery and receipt through a web-based application, email gateway, Software API or hosted SMS relay services. SMS Web Gateway integrates with your existing applications to enable the sending of SMS messages over the internet. Messages can be sent directly from any web browser via any web-enabled device. The Gateway automatically routes messages to mobile phone networks and supports media conversion from email and other formats.